The revised North American trade agreement restricts shipments of a product Canada isn't even exporting at the moment: infant formula. Why? A major Chinese investment into Eastern Ontario's dairy sector was poised to boost local employment. Now, concessions to the U.S. make its future uncertain. The revised North American trade agreement restricts shipments of a product Canada isn't even exporting at the moment: infant formula. Why on earth would the U.S. demand that? As with so many of the strategic priorities of the Trump administration, it's all about China. 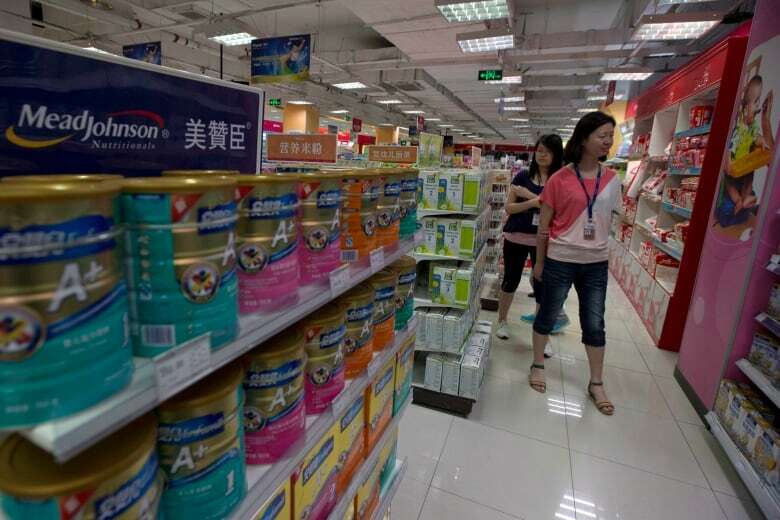 New Chinese baby formula plant to buy Canadian milk — but at what price? A $225-million investment by Chinese baby food manufacturer Feihe was poised to boost employment in Kingston, Ont., creating about 200 direct jobs and potentially 1,000 more indirectly. 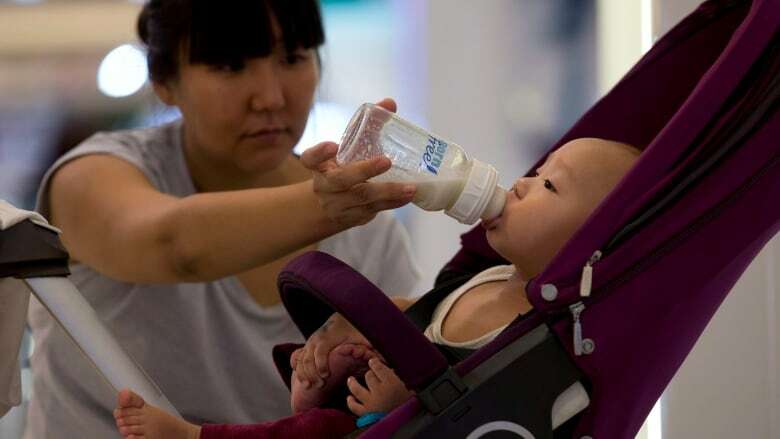 The end of China's one-child policy increases the demand for safe and reliable supplies of baby food in China, where breastfeeding is less common than in North America. The quality and price controls offered by Canada's supply management system were appealing to the Chinese, who planned to use Canadian skim milk products to make new brands. About 85 per cent of the Canadian-made formula was intended for export back to China. Construction on a 28,000-square-metre plant began last year, and while the project has had some delays, it still planned to start manufacturing infant formula — first from cow's milk, later from goat's milk — starting in 2020. By then, Canada's revised trade deal with the U.S. might be ratified and in effect. And concessions made in the U.S.–Mexico–Canada Agreement appear to thwart Feihe's business plan. Two aspects of the new USMCA text could affect the viability of the new Kingston facility. The agriculture annex in the new deal sets export restrictions on infant formula. Canada agreed that, in the first year after the agreement takes hold, it can export a maximum 13,333 tonnes of formula without penalty. In USMCA's second year, that threshold rises to 40,000 tonnes, and increases only 1.2 per cent annually after that. Each kilogram of product Canada exports beyond those limits gets hit with an export charge of $4.25, significantly increasing product costs. Documents obtained in 2017 by CBC News under the Access to Information Act included a presentation from the Canadian Dairy Commission that suggested Feihe intended to manufacture 60,000 tonnes of infant food every year in Kingston. While 10,000 tonnes of that was planned to be a goat's milk product that would not be subject to the USMCA limits, the rest would be made from cow's milk supplied by the Dairy Farmers of Ontario. USMCA provisions will apply to any formula "containing more than 10 per cent on a dry weight basis of cow milk solids." While the export limits set for the automotive industry elsewhere in the USMCA were comfortably above current and anticipated future production levels, the thresholds in this part of the deal appeared below the planned capacity of the Kingston plant suggested in its original plans. On Friday, Agriculture and Agri-Food Minister Lawrence MacAulay's office reached out to CBC News to say that Canadian negotiators "spoke directly" with the Kingston Economic Development Corporation and "others with direct knowledge of the proposed facility's operations." Their understanding was that Feihe is planning to divide its formula evenly between its two lines: 30,000 tonnes from cow's milk and 30,000 tonnes from goat's milk. "Should the facility continue with those plans," spokesperson Katie Hawkins wrote, the 40,000 tonnes of allowable dairy-based formula exports "would provide enough room for the facility to operate as planned." At the time, Feihe's investment was announced, local goat farmers had the capacity to produce only a fraction of the milk that would be required to split the plant's production 50-50 between cow and goat formula, although more farmers were being encouraged to get into the goat business to meet the factory's needs. Canada wanted to attract investment for a baby formula facility because it uses skim milk from cows as an ingredient. Healthy consumer appetites for butter leave provincial milk marketing boards with a surplus of skim. Baby formula looked like a smart use for it, and Canada didn't have any significant infant formula production before Feihe arrived. Expanding this plant, or building a second infant formula plant somewhere else in Canada, look like less attractive business propositions under this new trade deal. The Americans also demanded, and got, an end to Canada's recent dairy ingredient pricing strategy in the USMCA. Farmers and dairy processors had struck an agreement to make their industry more competitive by making it more affordable for Canadian food manufacturers to use skim milk ingredients from Canada instead of the low-cost imported diafiltered or ultrafiltered milk protein products entering Canada tariff-free through a customs loophole. A new pricing category in Ontario, followed by a national pricing change across Canada (referred to as "class 7"), set a lower price for dairy ingredients like skim milk that was comparable to the going rate internationally. In return for not losing business to the U.S. products, farmers agreed to take a hit and receive a lower price than what Canada's supply management system would otherwise have set for their milk. The Dairy Farmers of Ontario told CBC News in 2017 that the milk destined for the Kingston facility would be provided based on this lower ingredient price. But in NAFTA 2.0, Canada agreed to end its ingredient strategy, pleasing both American farmers and the Trump administration, which had turned Canadian dairy pricing into a political cause célèbre. Once ratified, the USMCA will dictate a price formula for "non-fat solids used to manufacture milk protein concentrates, skim milk powder and infant formula." That formula is based on a nonfat dry milk price set by the U.S. Department of Agriculture, as opposed to some kind of global average calculated by a neutral third party. Taken together, these two concessions on Canada's part would appear to undermine the business plan originally laid out by Feihe International, now incorporated for its Ontario operation as Feihe Canada Royal Milk. "The United States is a major supplier of infant formula to the North American and export markets and sought these commitments to ensure effective disciplines on any potential Canadian exports of this product," government spokesperson Hawkins wrote in an email. CBC News reached out to Feihe for reaction to the new trade deal's provisions. Spokesperson Yang Zhiwen wrote back, saying only that "we are reviewing the new agreement and at this moment we don't have [any] comment." When Feihe incorporated in Canada, it became eligible for the same government funding programs available to domestic dairy processors. Documents obtained by CBC News last year suggested Feihe was eligible for two federal programs, including a matching investment fund offering non-repayable contributions to companies that innovate. No dollar amounts were specified in the non-redacted portion of the documents, making it difficult to estimate how much the Canadian taxpayer already has contributed to building Feihe's facility. The province of Ontario also invested $24 million in the Kingston plant through its Jobs and Prosperity Fund. 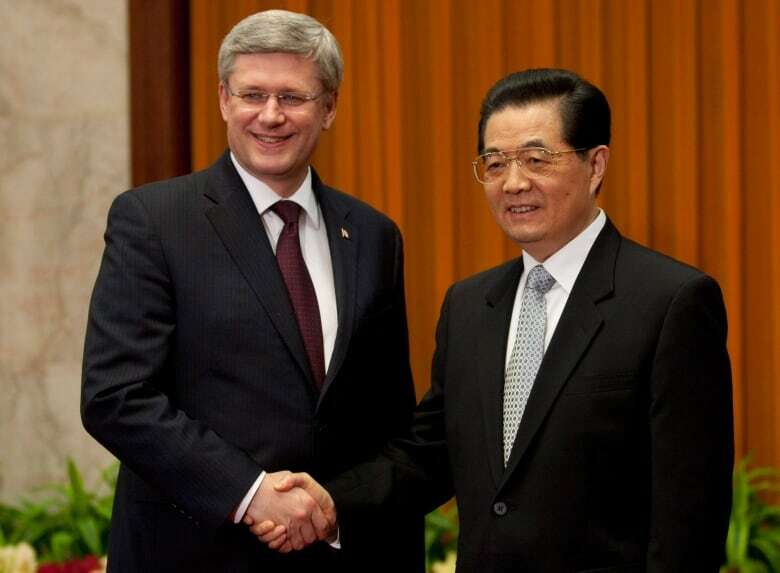 Canada signed a foreign investment protection agreement with China in 2012. It includes a form of dispute settlement for investors — to be used if a government acts in an arbitrary or otherwise unfair fashion that harms a corporation's investment. It's unknown whether the facts of this situation warrant litigation under this investment treaty, so it remains to be seen whether taxpayers could face an additional cost from a successful lawsuit against the government of Canada. It remains unclear whether Canadian negotiators ever spoke directly with Feihe. Xinhua, the Chinese news agency, reported Wednesday that Foreign Affairs Minister Chrystia Freeland spoke to Chinese Foreign Minister Wang Yi to brief him on the new USMCA. According to the Chinese report, Freeland told her counterpart that "any free trade agreement should be open, inclusive but not exclusive, and that the USMCA should not harm the rights and interests of other countries."